Action from Used Car Week 2014. 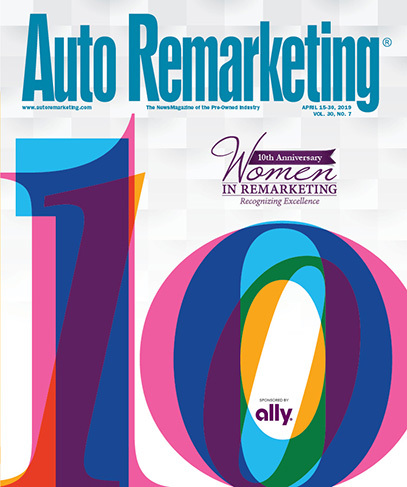 This year's conference series will feature the debut of the Remarketing and Used-Car Industry's 40 Under 40. It wasn’t even five minutes later that I got the first response back. Then another. And another, and another. As a magazine editor, this was awesome; folks in my line of work love quick responses. But that wasn’t the best part. See, it wasn’t that people responded, it was how they responded to earning 40 Under 40 recognition. “Thank you for such great news! 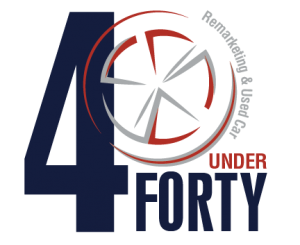 It was extremely humbling to hear such positive response from our 40 Under 40 recipients, especially after learning all the great things these folks are doing in this business and within their communities. It’s touching to know that this award is meaningful and impactful to some of the very people who are making a significant impact in the industry. And at such young ages, I might add. As a 32-year-old myself, I’m right at the midpoint of the age range for our honorees. Being a part of this same generation, I can appreciate the broader economic, political and cultural environment in which our honorees grew up, went to school and eventually made their way in the workforce. That makes this whole project even more rewarding. And inspiring. If I ever need a swift kick of motivation, reading these people’s stories certainly provides that to a 30-something like me. Speaking of inspiring, it was also heartening to see how many people nominated their peers. Unfortunately, the very nature of this project doesn’t allow us to pick all the nominees, although many are equally impressive in their own right. But good news: this is just the first edition. This industry is full of people under 40 (and under 30, for that matter) who are making waves, and this project is going to allow us to recognize many different folks year after year. Congratulations to all the honorees, nominees and the great companies you represent. And thank you for making this project rewarding! Sarah Amico, Jack Cooper Holdings Corp.
Joe Miller, Auto Auction Services Corp. These honorees will be recognized during a ceremony at the National Remarketing Conference portion of Used Car Week this fall. Complete coverage of our 40 Under 40, including special feature stories about these honorees, can be found in the Sept. 1 issue of Auto Remarketing.